After a federal court ruling, county election offices in Kansas have to make sure that voters appear correctly in their poll books. Judge Julie Robinson ordered Kobach’s office to make sure that tens of thousands of previously blocked voters are now on the active voter rolls. Any outdated notices about Kansans needing to supply citizenship papers also had to come down from official websites to prevent public confusion. Some of the steps were supposed to be completed in 2016. The fact that they weren’t came out during a heated hearing in March and landed Kobach in contempt of court. As of Monday, lawyers for the plaintiffs were scouring a copy of Kansas voter records to see if all those once-blocked applicants appear to be good to go. That check should have been finished by now, but the American Civil Liberties Union says it was delayed last week when its lawyers discovered Kobach’s office had sent incomplete records. The secretary of state’s office says that was an error and has since sent more records. In a progress report filed Friday, lawyers for the office assured Judge Robinson that Kansas is in full compliance with her ruling and that the voters who have been unblocked will receive the same information and mailed notices — for example, regarding their polling locations — that all other voters receive. Kobach’s office has been scrubbing references to citizenship documentation from voter registration instructions online. The ACLU is mostly satisfied with the updates to state websites but will likely continue to push back on county election websites. The Kansas News Service found outdated 2016 and 2017 notices on at least one county’s website on Monday. The ACLU says notices like those were supposed to be pulled already to avoid confusion. The wording that McPherson County still had online as of Monday stems from a preliminary court order issued in 2016 that forced Kobach to stop demanding citizenship papers from people who register to vote at local motor vehicle offices. 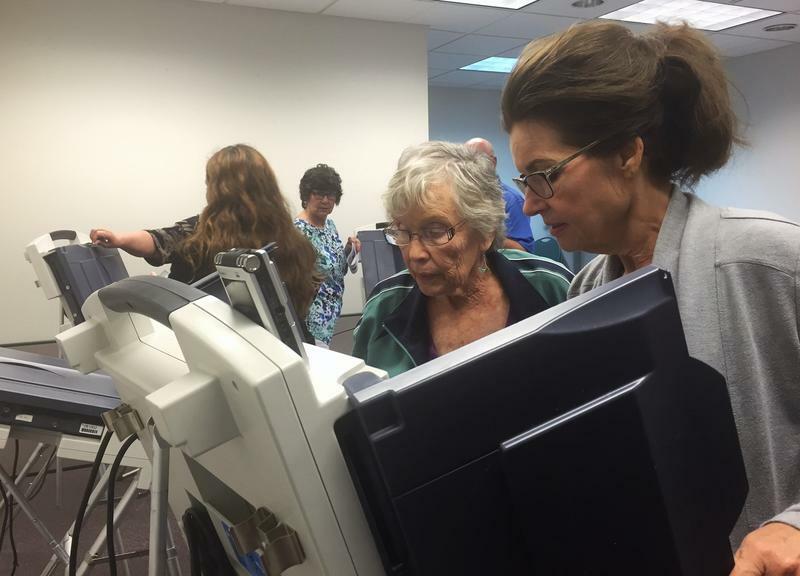 At that point, voters no longer needed those documents to register at the DMV. The newest court order goes far beyond that, which is why the ACLU wants those old explanations deleted. Today Kansans don’t need to show citizenship documents regardless of where they register to vote. After Kobach lost his case last month, his office told county election officials to keep accepting citizenship papers if people offer them. That upset the ACLU, which thinks that, too, could cause confusion if people leave the office with the impression those documents were required for registration, and then tell their friends or family. Kobach’s office says the election officials aren’t demanding the documents, just recording them when they are provided voluntarily. The office argues the documents could be helpful to its search for voter fraud. The office also notes it is appealing Robinson’s ruling striking down Kansas’ voter registration requirement. Another key sticking point as of Friday’s court filing involved statistics on the secretary of state’s website. Kobach’s office wanted to keep tallies online of the number of people who didn’t provide citizenship papers with their voter registrations. The ACLU argues that perpetuates confusion since those documents are no longer needed. Kobach’s office argues the statistics are a public record that they would have to turn over if a member of the public asked for them. As of Monday the statistics had disappeared from the website, but the ACLU expects they may soon be reposted. 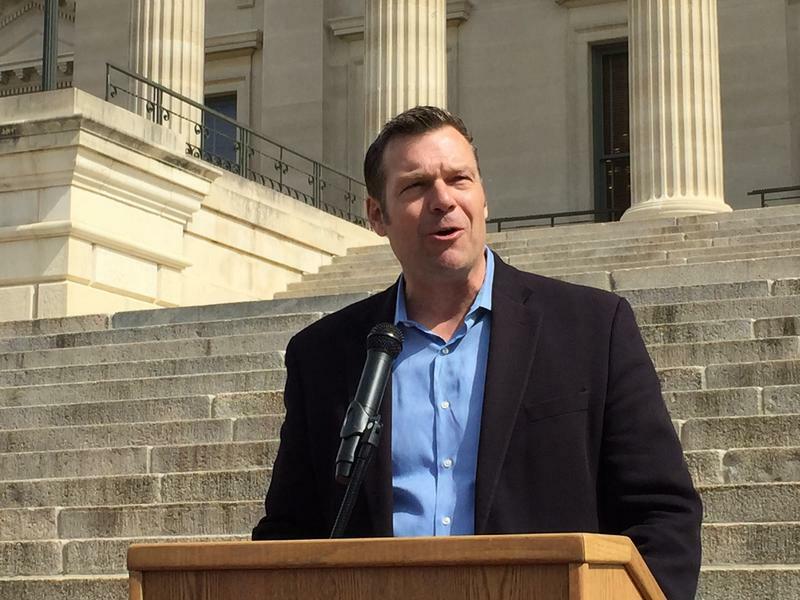 Kobach's office told Judge Robinson on Friday that registered voters in Kansas will be able to use standard ballots instead of provisional ones — regardless of whether they showed the office any citizenship papers. Their names will appear in the standard manner in poll books. 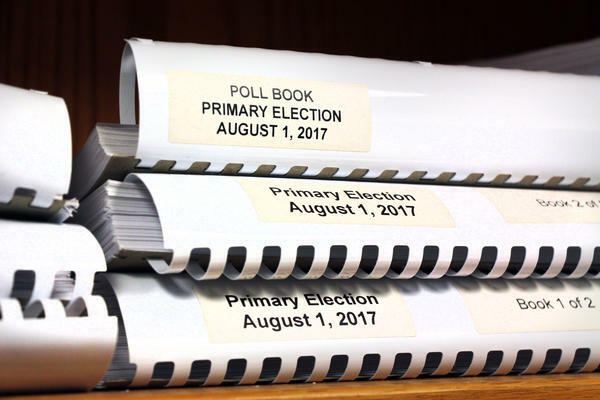 County officials, meanwhile, are receiving updated instructions — including revisions to the state’s election handbook — making clear that citizenship documents aren’t required anymore. As with many of the other items that Kobach was ordered to fix, the ACLU seems tentatively satisfied but has reserved the right to let the judge know if anything of concern turns up.